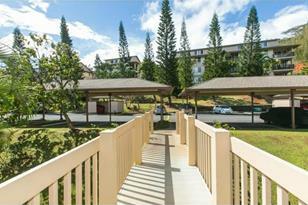 Well cared for and lovely 2 bedroom 2 bath single level unit in desirable Terraces at Launani Valley! Minutes to Mililani and Schofield. Walk straight into this unit with no stairs to worry about. Enjoy the conveniences of your 2 assigned parking stalls (1 covered; 1 open) and stroll down to the nearby pool, BBQ and rec room! Built in 2001, in newer building of the complex. New carpet installed in 2013 and ready to move in! 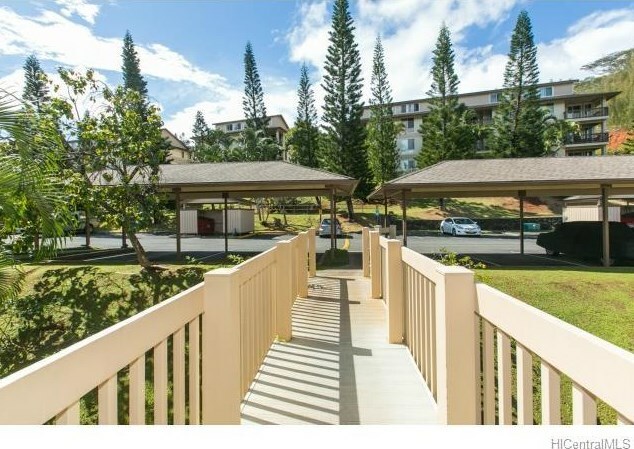 Sold by The Realty Company, Ltd.
95-932 Wikao Street #B202, Mililani, HI 96789 (MLS# 201503922) is a Condo / Townhouse property that was sold at $390,000 on May 20, 2015. Want to learn more about 95-932 Wikao Street #B202? 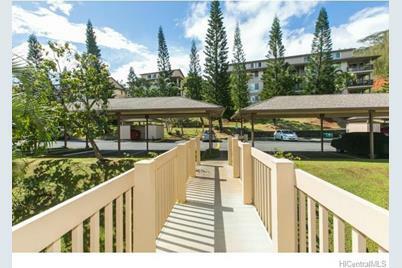 Do you have questions about finding other Condo / Townhouse real estate for sale in Launani Valley? You can browse all Launani Valley real estate or contact a Coldwell Banker agent to request more information.